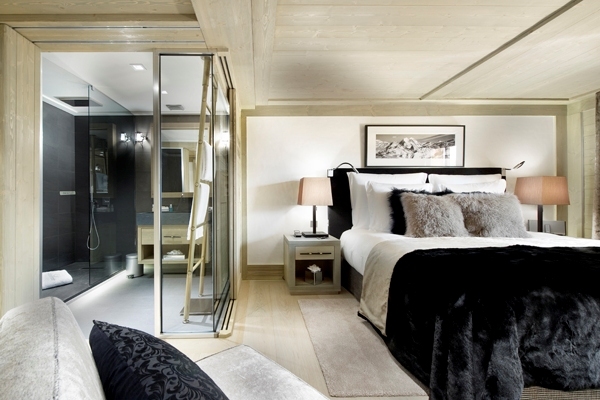 Chalet Baltoro is a luxury chalet that is part of the Hotel Le K2, a lavish hotel in Courchevel 1850. 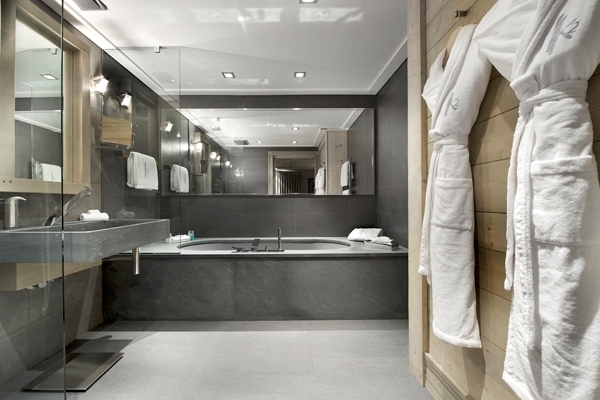 It is located just a few minutes away from the centre of Courchevel resort. 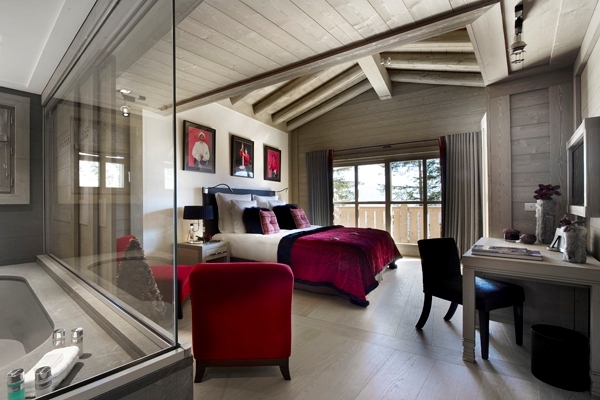 Nestled above the Cospillot ski slope, Chalet Baltoro boasts of stunning views over the valley and Vanoise Mountains. 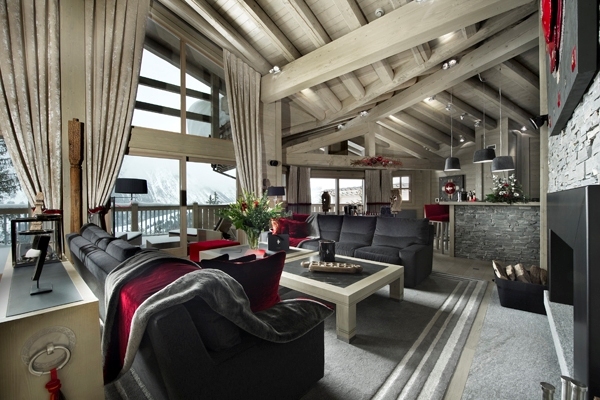 Located in the heart of the largest ski area of the world, Chalet Baltoro is a ski in/ski out chalet that enjoys a prime location next to the Cospillot ski lift. 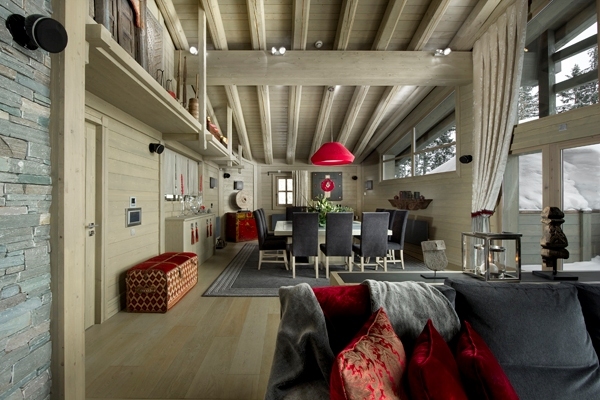 Chalet Baltoro strikes a perfect balance between modern and traditional architecture and décor. 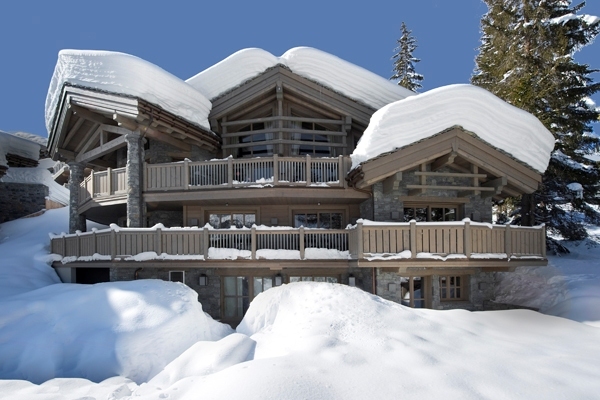 With surface area of 570 sqm, this luxury chalet is very spacious and features all the modern amenities imaginable. 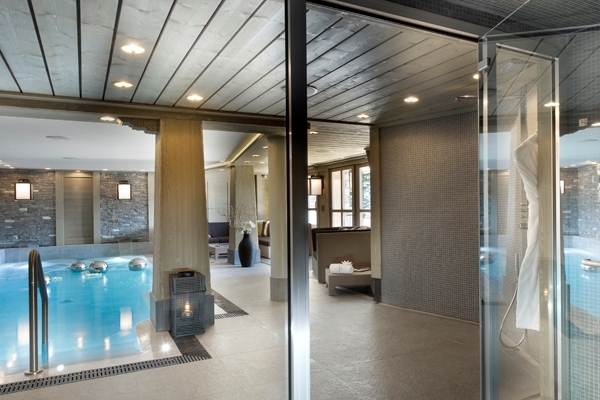 Offering luxury accommodation with the facilities of a five star hotel, this Courchevel chalet is arranged on three floors that are connected via a lift. 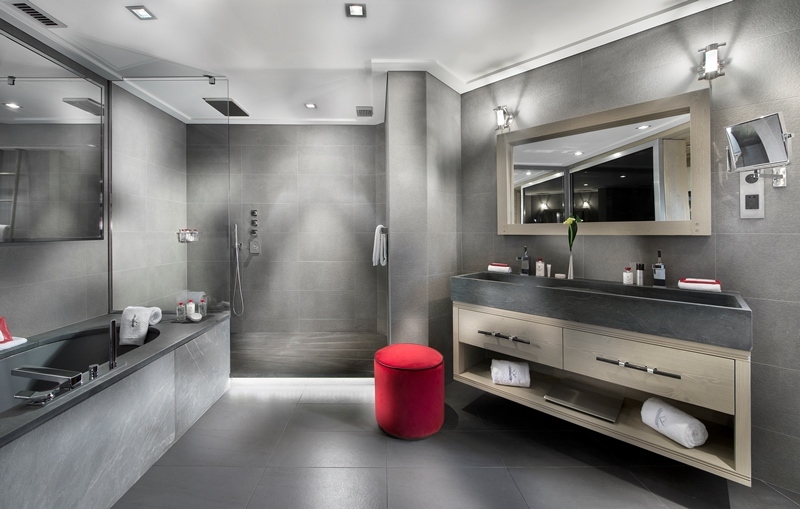 The interiors are dominated by traditional materials like stone, wood, brushed steel and ideally contrasted with modern art pieces. 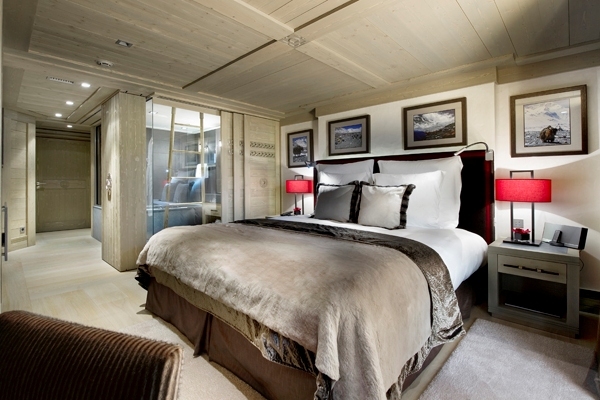 Chalet Baltoro features five en suite bedrooms and is thereby ideal for up to ten guests. Four of the five bedrooms lie on the first floor while the fifth bedroom is on the ground floor. 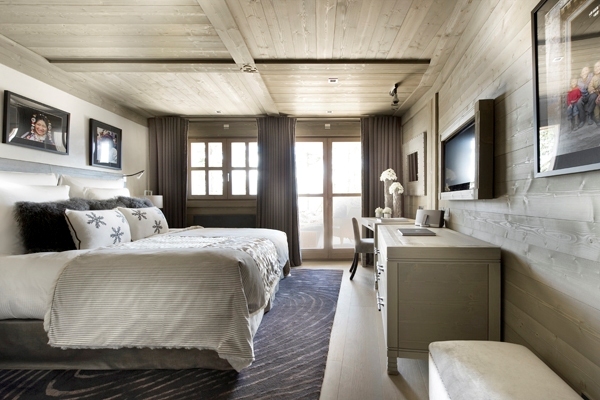 All the bedrooms feature en suite bathrooms, dressing rooms, and large balconies. The top floor comprises an entrance hall that leads to the two thoughtfully designed lounge areas featuring large bay windows and fireplace. On this level, there is a fully equipped kitchen and adjoining dining area where you can enjoy the regional delicacies as well as international cuisine. The ground level in the relaxation hub comprising swimming pool swimming pool with waterfalls and swim jet; you can relax in the pool area featuring lounge or stimulate your senses in the steam room.